An attentive reader pointed out that no documentaries had been submitted to our list of the greatest films ever edited. He then corrected it by giving us two fantastic suggestions. The Thin Blue Line cut by Paul Barnes and The Atomic Caf?� cut by Kevin Rafferty, Pierce Rafferty and Jayne Loader. 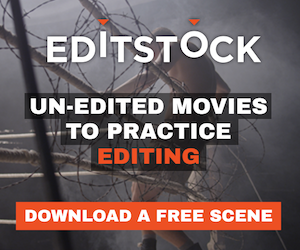 Keep the great suggestions coming and thanks Matthew for helping us bring documentary editing into the list.